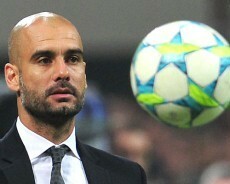 The following will display lessons/characteristics from Pep Guardiola, who won 14 titles in 4 years with FC Barcelona. The 47 times capped defensive midfield player for the Spanish National team stayed the majority of his career as a player with FC Barcelona. He started his coaching career with the Barcelona B side with which he got promoted in his first season. The following year he inherited the senior side with which he won the Spanish domestic league title, cup, the UEFA Champions league and the World team trophy, most of them multiple times. He retired (for now) after the 2011-2012 season. Many coaches paid tribute to his achievements, however his critiques suggests that he still has to prove himself at another club. Playing culture: Guardiola has been gone through the different stages of the Barcelona academy. 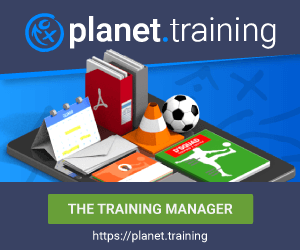 An academy known for a developing system that produces world-class players and talents that are expected to learn and adopt philosophies and expectations set by the senior team. Team over individual: It seems that Guardiola has no fear of removing players that could possibly generate a negative team environment. He emphasis the minimum of leadership is the pair and does not believe in big players/”el Capitanos” that are the only leader in a team. This philosophy clearly emphasis teamwork and collaboration. Despite his importance on teamwork he has a feeling for the individuals’ needs, which shows his interaction with players. Interactions: Guardiola is a master in player-management. One example is that he allowed Messi to compete in the Olympics 2008 with Argentina, against the rule of the club. It seems he is a great communicator that only sets guidelines for his players. It seems that Guardiola is more a kind of interventionist rather than a dictatorial coach. He obviously trusts his players to work through a tasks or a concept, however expect high standards. His players seem to accept those standards, as Guardiola explains his thinking behind his decisions as Pique commented. “Pep doesn’t give you orders, he also explains why, which makes you a better footballer because you learn the reasons behind his instructions.” Despite Guardiola’s great passion for football he seems to be able to channel his energy to calm his players. Guardiola is known for this minutely detailed and thorough approach to training and matches. He pores over match footage and analysis for both scouting opponents and reviewing his own team. Pep seems to be very confidence about his skillset and his team. Guardiola’s assistant Vilanova said of him – “his x-factor is his contagious self-confidence. His will to win is matched by a complete belief that he will win and an ability to explain how to do it”. Despite some negative results Guardiola is very persistent to move into the direction he believes is correct. Many analysts tried to describe the Barcelona playing style, but mostly came to a similar conclusion – the style is unpredictable and Guardiola seemed to constantly search for new but meaningful ways to improve this unpredictability. Obviously, he has loved the game, which makes him passionate and work hard and there is no doubt that he will come back as a coach. Guardiola seems to enjoy non-football things, such as literature and languages. As a result, his tactical knowledge would comprise of the best of many coaches and nations. Despite his playing career he is not a typical “player coach” like Rijkaard or Matthaeus. He is considered a football academic.